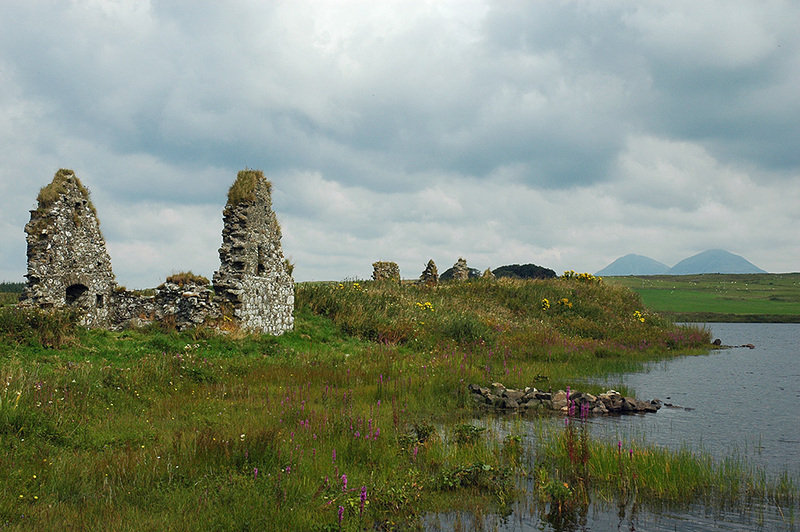 A view of some of the building remains on Eilean Mòr at Finlaggan. The Paps of Jura nicely visible in the distance on the right. This entry was posted in Cloudy Weather, Freshwater Loch, Landscape, New Post and tagged Eilean Mor, Finlaggan, Islay, Loch Finlaggan, Paps of Jura by Armin Grewe. Bookmark the permalink.